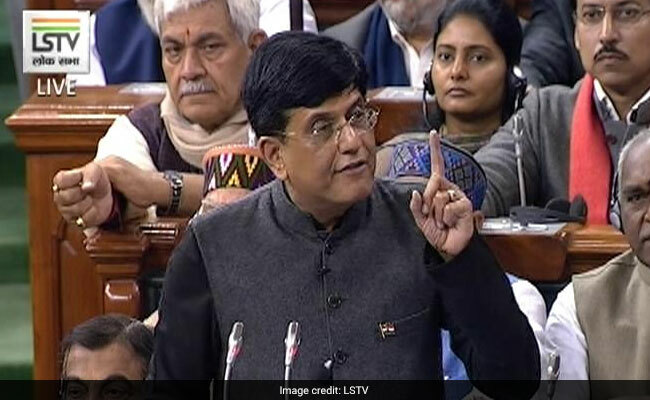 Finance Minister Piyush Goyal was presenting the interim Budget for 2019-20 in the Lok Sabha. "Rs 1 crore loan can now be obtained under 59 minutes", said Mr Goyal, while stating that his government has implemented several measures to ensure clean banking and instituted a resolution friendly mechanism for recovery of non-performing loans. "Nearly Rs 3 lakh crore has been recovered in favour of banks and creditors", he said, adding that "big defaulters too have not been spared by our government". Mr Goyal said that he remained confident that given the pace of reforms in the banking sector, other banks too will recover. "At the same time, recapitalisation of banks amounting to Rs 2.6 lakh crore has been done", said the Finance Minister. "The 4R approach (recognition, resolution, recapitalisation, and reforms) and a number of measures have been implemented to ensure clean banking," he said.